The headline in Pravda trumpeted President Vladimir V. Putin’s latest coup, its nationalistic fervor recalling an era when the newspaper served as the official mouthpiece of the Kremlin: “Russian Nuclear Energy Conquers the World.” The article, in January 2013, detailed how the Russian atomic energy agency, Rosatom, had taken over a Canadian company with uranium-mining stakes stretching from Central Asia to the American West. The deal made Rosatom one of the world’s largest uranium producers and brought Mr. Putin closer to his goal of controlling much of the global uranium supply chain. But the untold story behind that story is one that involves not just the Russian president, but also a former American president and a woman who would like to be the next one. At the heart of the tale are several men, leaders of the Canadian mining industry, who have been major donors to the charitable endeavors of former President Bill Clinton and his family. Members of that group built, financed and eventually sold off to the Russians a company that would become known as Uranium One. Beyond mines in Kazakhstan that are among the most lucrative in the world, the sale gave the Russians control of one-fifth of all uranium production capacity in the United States. Since uranium is considered a strategic asset, with implications for national security, the deal had to be approved by a committee composed of representatives from a number of United States government agencies. Among the agencies that eventually signed off was the State Department, then headed by Mr. Clinton’s wife, Hillary Rodham Clinton. Follow along as the Times tracks the money, and the multiple rounds of broken promises"
Hillary Clinton's family's charities are refiling at least five annual tax returns after a Reuters review found errors in how they reported donations from governments, and said they may audit other Clinton Foundation returns in case of other errors. The foundation and its list of donors have been under intense scrutiny in recent weeks. 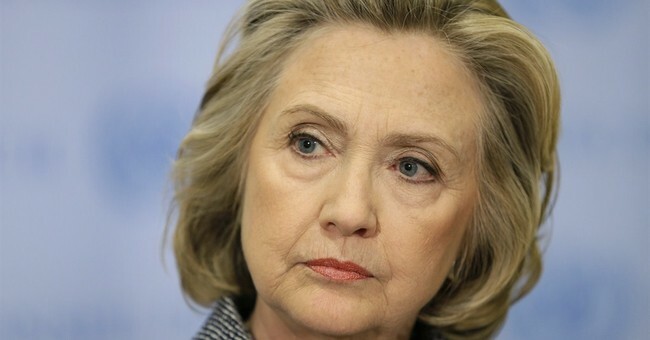 Republican critics say the foundation makes Clinton, who is seeking the Democratic presidential nomination in 2016, vulnerable to undue influence. Her campaign team calls these claims "absurd conspiracy theories." The charities' errors generally take the form of under-reporting or over-reporting, by millions of dollars, donations from foreign governments, or in other instances omitting to break out government donations entirely when reporting revenue, the charities confirmed to Reuters. The errors, which have not been previously reported, appear on the form 990s that all non-profit organizations must file annually with the Internal Revenue Service to maintain their tax-exempt status. A charity must show copies of the forms to anyone who wants to see them to understand how the charity raises and spends money. For three years in a row beginning in 2010, the Clinton Foundation reported to the IRS that it received zero in funds from foreign and U.S. governments, a dramatic fall-off from the tens of millions of dollars in foreign government contributions reported in preceding years. Those entries were errors, according to the foundation: several foreign governments continued to give tens of millions of dollars toward the foundation's work on climate change and economic development through this three-year period. Wait, the Clintons' organizations are re-filing at least five years'-worth of taxes because they failed to report tens of millions of dollars in donations from foreign governments? The Clintons' team has effectively responded by saying, "oops, our bad, but you guys only caught us in this 'mistake' because of how transparent we are." Go re-read the New York Times story above before you take that self-congratulation seriously. Especially this line: " Those contributions were not publicly disclosed by the Clintons, despite an agreement Mrs. Clinton had struck with the Obama White House to publicly identify all donors." Charity law experts say the Reuters-discovered 'errors' are not necessarily evidence of intentional wrongdoing, but call the situation "highly unusual:"
Some experts in charity law and taxes said it was not remarkable for a charity to refile an erroneous return once in a while, but for a large, global charity to refile three or four years in a row was highly unusual. "I've never seen amendment activity like that," said Bruce Hopkins, a Kansas City lawyer who has specialized in charity law for more than four decades, referring to the CHAI filings. Clinton stepped down from the foundation's board of directors this month but her husband, Bill Clinton, and their daughter, Chelsea Clinton, remain directors. The foundation said last week after Hillary Clinton became a candidate that it would continue to accept funding from foreign governments...Nick Merrill, Clinton's spokesman, has declined to answer inquiries about the foundation and CHAI. You can't prove anything -- and what difference, at this point, does it make?